AzBaja.com, Home of the VW Baja Bug -:- Baja Forums -:- VW Volkswagen Bug, Baja, Bus, Sandrail and Thing -:- VW Volkswagen & Baja Bug General Discussion -:- 4x4 Bajabug with only vw parts. Baja Forums -:- VW Volkswagen Bug, Baja, Bus, Sandrail and Thing -:- VW Volkswagen & Baja Bug General Discussion -:- 4x4 Bajabug with only vw parts. 4x4 Bajabug with only vw parts. Post subject: 4x4 Bajabug with only vw parts. for some time. Has anyone built a vw parts only 4x4 bajabug that uses the standard vw front tortion tube suspention? II suffer from bouts of McGyverisms!! 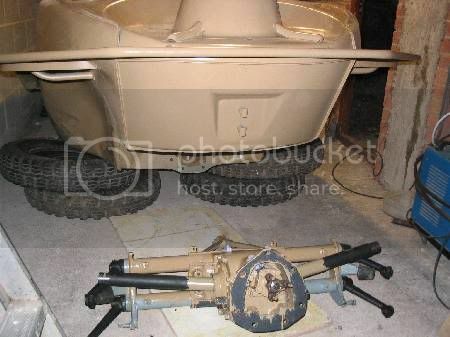 Post subject: Re: 4x4 Bajabug with only vw parts. Well I guess I will add on to my first post some of the ideas that have been rattleing around in my head. One idea was to use the front spindle housings , bearings,disc breaks and the long drive axles from the front of a VW Jetta. Then fabricate some king pin piviot pionts to mount to the king pin trailing arms. The 091 bus trans. will need to have an extended forward pinion drive shaft through the modified nose cone with shaft carrier bearing and cv drive flange. The drive shaft will travel through the shifter tunnel to a front diferential made from a cut down trans. or a custom fabricated diff. houseing with cv flanges driveing the Jetta drive axles. Well does this all make sence to any of you baja buffs? Well give me a reply here. You wouldn't need 4wd in a baja bug, the way they are set up being so light and RWD with most the weight in the rear will beat most so called 'rock crawlers' out there. I went out with a suzuki samauri that was lifted with super low gears and such and he got stuck before I did in my Baja. This has been discused a lot on the Samba, but so far no one has done it. good luck and keep us posted! It has been done! but I cant remember how it was done. There was a short article in hot vws like 10 or 15 years ago. It used some parts from a 4wd vw bus. I am not familiar with Samba. 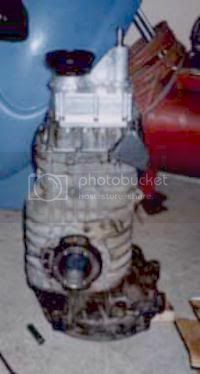 I did find a web site of a man in Washington who made an all wheel drive useing a 280 z rear diff. 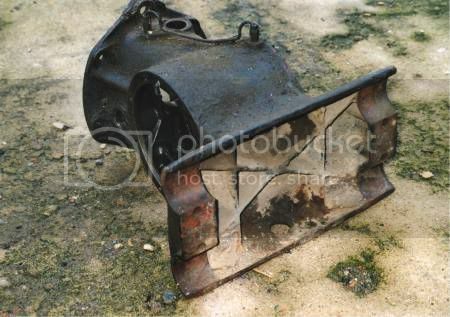 and the front suspension from a Saab. I have also heard of people useing the syncro drive components from a vanagon and Toyota pickup. I just want to keep it all VW as much as possible. This is a far off project and I am looking for all the differant ways that others have made the 4x4 transformation. Well I think I will just have to round up the parts and give it a try!! i would just put a whole other engine, transmission and suspension in the front. then just turn off one engine and its AWD. it might be hard to synchronize the speed and power tho. Well that would be hard to do! 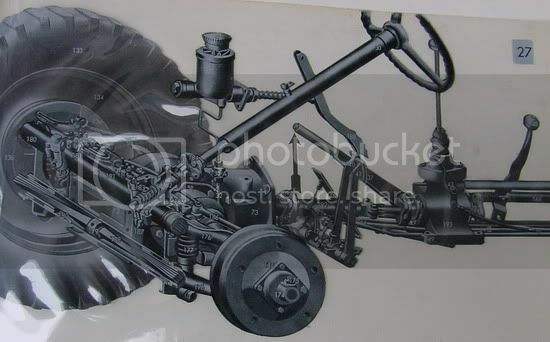 I have also thought of makeing a hydrostatic front drive assist that could be turned on with a flick of a switch to a ac type clutch on a hydralic pump motor, then have a flow control valve in line in the cab to be able to adjust speed to the front wheels. What do you guys think of that as a possible front drive to have only when needed? I will have to do some more research on parts and prices before I can commit to starting on the conversion, and money is a very big factor in this endever.If any of you have any more differant or unique ideas send them my way I might find something in it that will be better to try. Thanks! The part that holds the front diff and bolts to the beam. Might be a bit expensive to try and use original schwimmwagen parts though. I don't remember where I got this photo (www.davesport.com I think). I believe it was Rancho that extended the output shaft to turn the front wheels for a 4x4 conversion. This was the last I heard about it. He did not use all VW parts either. Bajabugs and Guns. Life is good!!!! 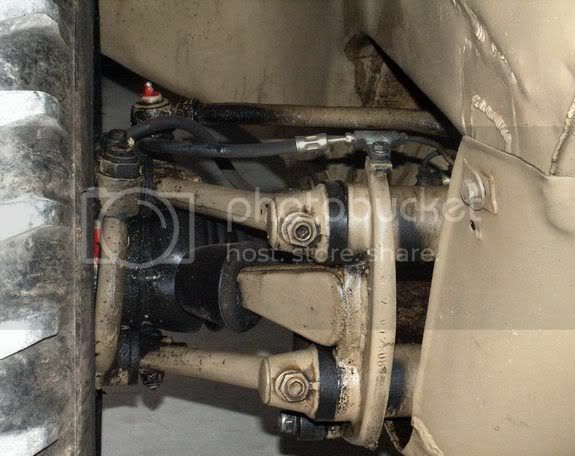 Wow those are the exact ideas that I had in mind to do on my bug with the partial rear diff. in the front. Where did you find those pictures of the schwimmerwagens drive system ? I would like to see more of those to better imagine what I could do on my bajabug. It all came from the internet. I wanted to build an amphibious rail at one time. As for the 4x4 bug, I would suggest getting a Jeep, or a Razor. 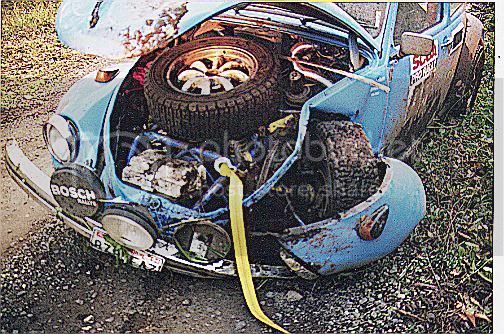 I am not sure what the front differential would get you in a bug, as most of the weight is on the back wheels. Once you add the front diff and move the weight around, you end up with basically a Jeep anyway. The car was just bought by a guy on the Samba: www.thesamba.com/vw/fo...p?t=446174 Lots of pics. Last ad I saw for it the seller was only asking $2,500 for it. Projects and Builds Vintage race junk donated it's parts 4 my desert toy.